If you have been injured in an accident at work, you may be entitled to wage compensation and lifetime medical benefits. Our workers’ compensation attorneys routinely appear in cases pending in Manassas, Prince William and Fairfax. Workers’ compensation claims can also include occupational diseases, conditions caused by exposure to hazardous substances, or carpal tunnel syndrome. If you have been denied compensation, or are considering settlement of your claim, we invite you to come to our Manassas office for a free consultation with a workers compensation attorney. We can help you understand your rights. A work place injury can cause not only physical pain, injury, and suffering, but it can also cause significant financial issues due to time lost from work, medical bills, and expenses. It is imperative to retain the services of an experienced and knowledgeable Virginia workers’ compensation attorney in order to protect your rights. The attorneys of The Reed Law Firm have extensive experience with workers’ compensation claims. Contact us today for a free consultation with a workers’ compensation attorney in our Manassas office. In the event you have been injured in a workplace accident, you must give your employer written notice of the accident within 30 days. If you fail to do so, your claim may be barred. All workers’s compensation claims in Virginia start with a Claim for Benefits. The form states the workers claim for compensation, the date of the accident, the nature of the injuries, and other identifying information about the claimant and the employer. After completing the form, it must be submitted to the Commission to create a claim. If you are being voluntarily paid by the employer or its insurer, it does not alleviate the requirement that you file a claim for benefits. If you fail to file a claim for benefits within two years of the date of the accident, your claim may be permanently barred by the statute of limitations. Temporary Total Disability Benefits Under Virginia law, temporary total disability benefits are available when an injured worker is unable to work due to his workplace injury, and is under active medical care. In order to receive temporary total disability benefits, the injured employee cannot work in any capacity. Temporary Partial Disability Benefits Pursuant to the Virginia Workers’ Compensation Act, temporary partial disability benefits are available where an injured worker is able to do some work, but is medically restricted from working the job he or she was performing at the time of the injury. For example, if an injured worker’s job description states that they must be able to lift up to 50 pounds, but their treating physician issues a disability slip which states that the injured worker can return to work, but has lifting a restriction of no more than 15 pounds, then that injured worker may be entitled to temporary partial disability benefits if the employer provides a light duty job with a lower pay rate. In addition, if an injured worker is unable to work a full eight hour day, as he did prior to his work place accident, he may also be entitled to temporary partial disability benefits. With temporary partial disability, the worker receives a percentage of her pre-injury income and is expected to perform some work to earn the rest of her compensation. Permanent Total Disability Benefits Permanent total disability benefits are available where an injured worker has suffered an injury or occupational disease that completely and permanently prohibits him from returning to work in any capacity. Permanent Partial Disability Benefits Even if a worker cannot obtain permanent total disability benefits, he or she may still be eligible for permanent partial disability benefits if they have a permanent injury that impacts their ability to fully perform their job, but is able to work in some capacity. Disfigurement/Mutilation In the event a work place injury results in permanent disfigurement and/or scaring, a worker may receive compensation for any such disfigurement and/or scaring caused by the work accident. Lifetime Medical Benefits In addition to wage replacement and disability benefits, you are entitled to lifetime medical benefits for any injuries you sustained in the accident. 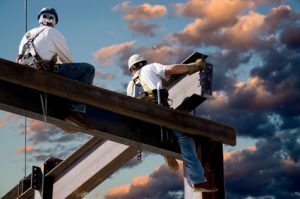 Although an injured worker is generally limited to filing a workers’ compensation claim against the employer, an injured worker may be able to recover from other negligent third parties in certain circumstances. For example, if an employee is injured at work in a car accident, there may be both a workers’ compensation claim, and a third party personal injury claim against the other driver. An attorney experienced in handling both personal injury cases, and workers compensation claims, can help determine if a third party may be liable for your injuries. It is important to consult with an attorney who is experienced in both workers’ compensation cases, and personal injury cases, because workers’ compensation benefits pay for medical bills and some lost wages, but do not cover pain and suffering and other non-monetary damages. Therefore, it is always important to investigate whether third parties unrelated to your employer may also be held responsible. Before you retain an attorney, make sure you read our page on Protecting Your Claim. Immediate action may be necessary on your part to prevent an accidental compromise of your claim. To schedule a complimentary consultation to discuss your workers’ compensation claim, please contact us. For more information, please visit our Workers’ Compensation frequently asked questions page.